Our budget consultation document sets out how we plan to tackle the challenges facing the council and where we will focus the budget we have in order to continue to make a positive difference. Which services are important to you. Your views on next year’s rate of Council Tax. You can choose whether to comment on all questions, or just those you select. Specific groups of service users will also be consulted where appropriate. Consultation is being carried out to ensure the council's decision-makers are fully informed of relevant concerns before any final decisions are made. There will be a public consultation event on Wednesday, 19 December 2018, 6-8pm at Council House Banqueting Suite, Council House, Victoria Square, Birmingham B1 1BB. 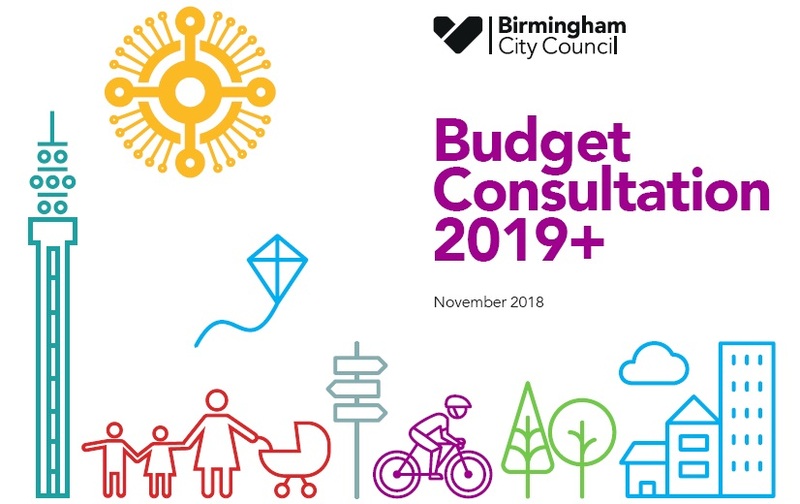 To book your place please visit Birmingham.gov.uk/brumbudget19 where you can book tickets and find the Budget consultation 2019+ document and proposals. This consultation closes on 31 December 2018.